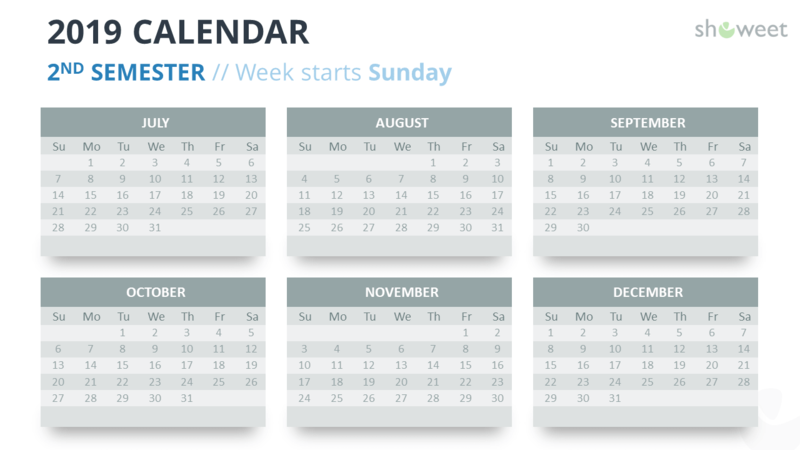 All the calendars are available either for the week starting Sunday or Monday. 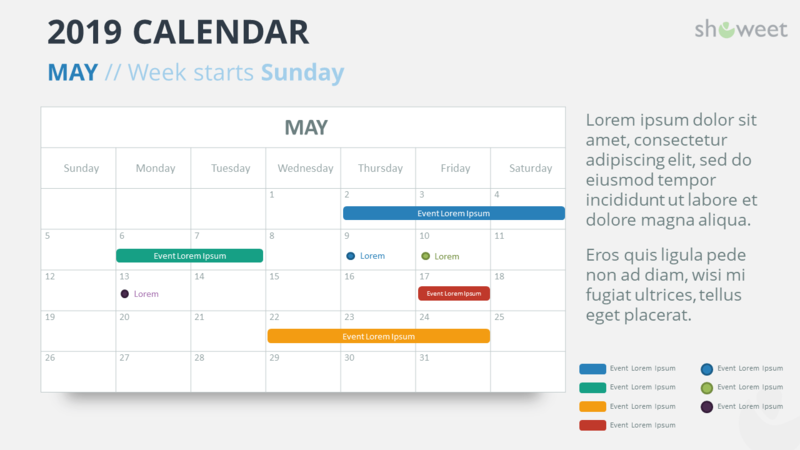 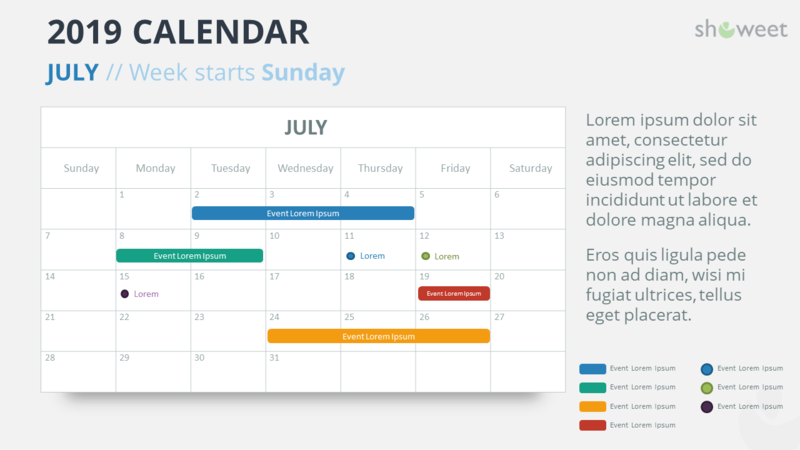 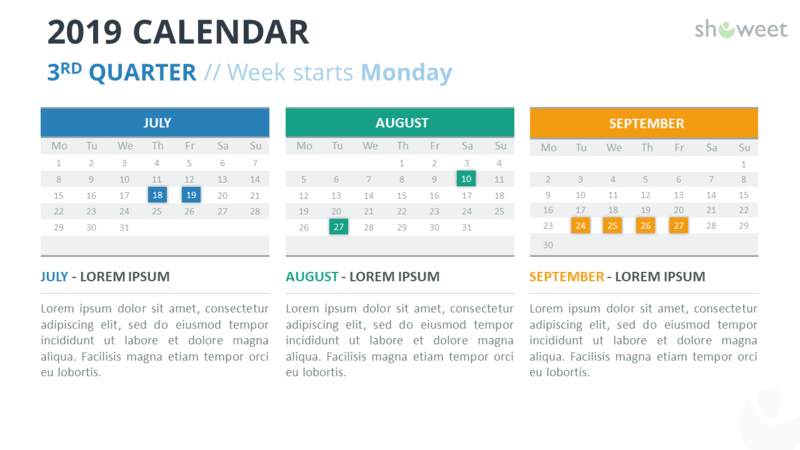 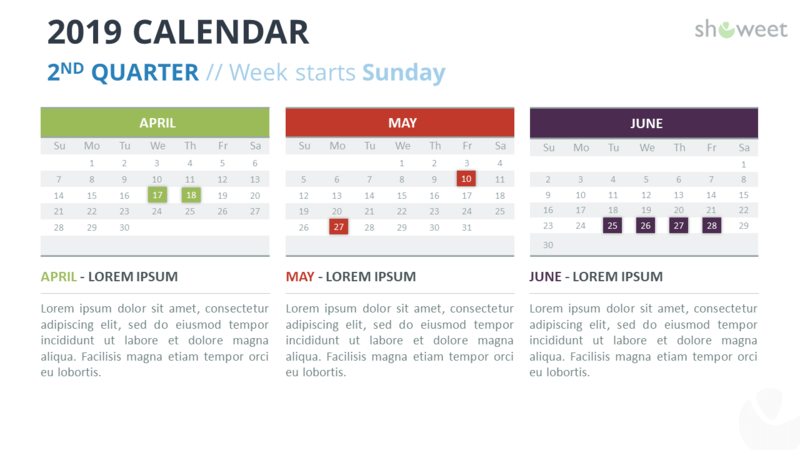 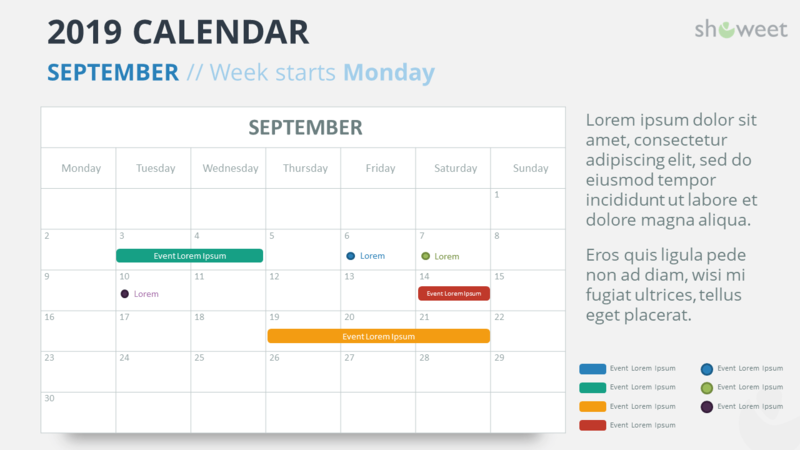 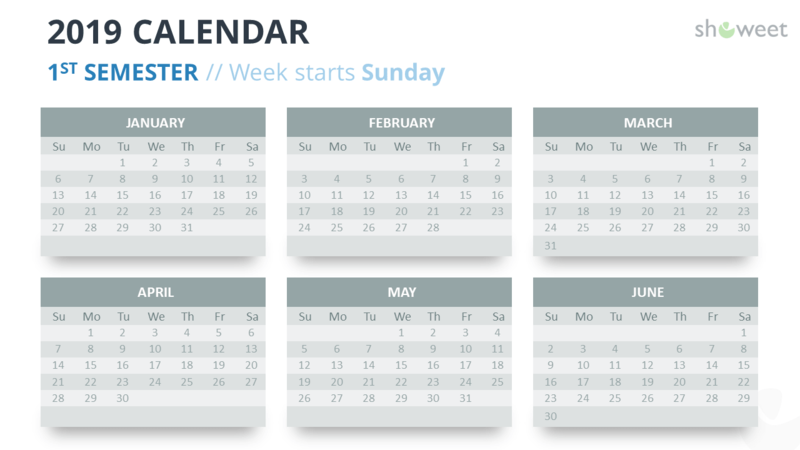 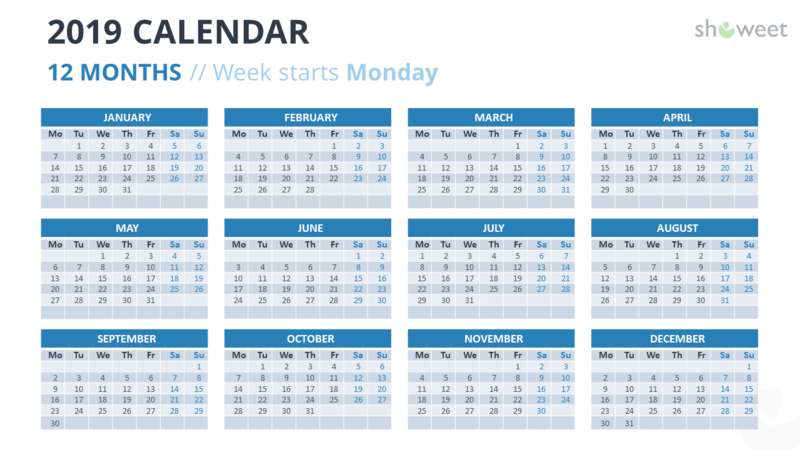 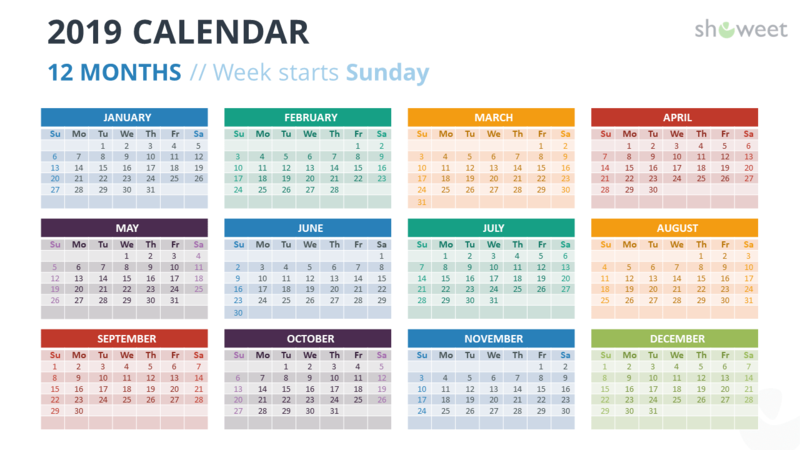 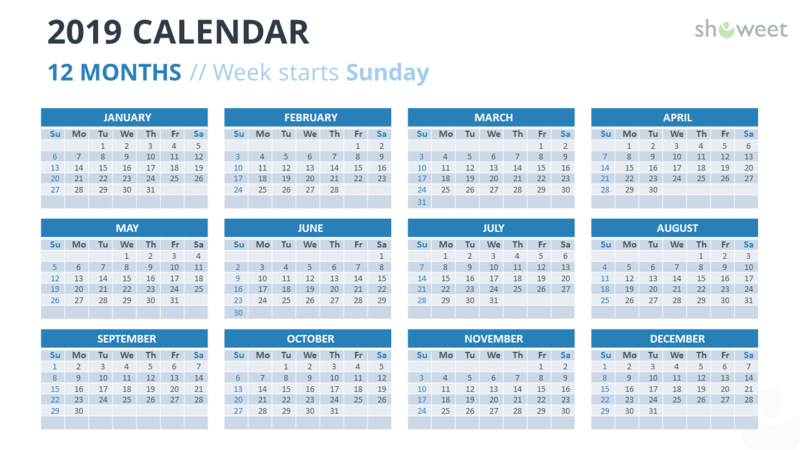 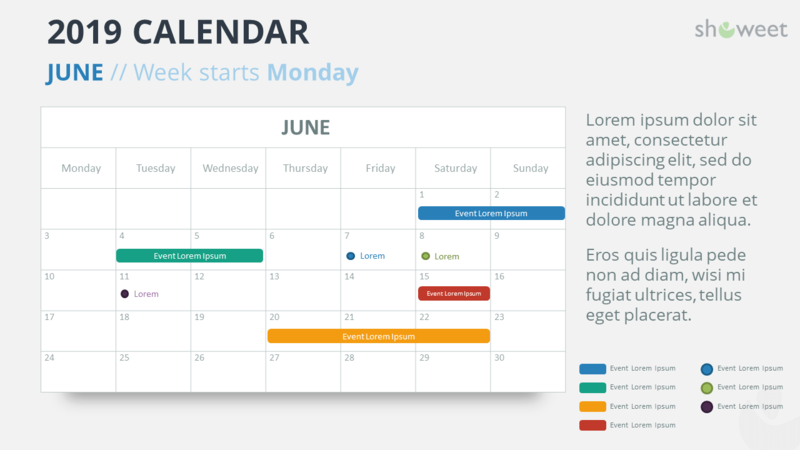 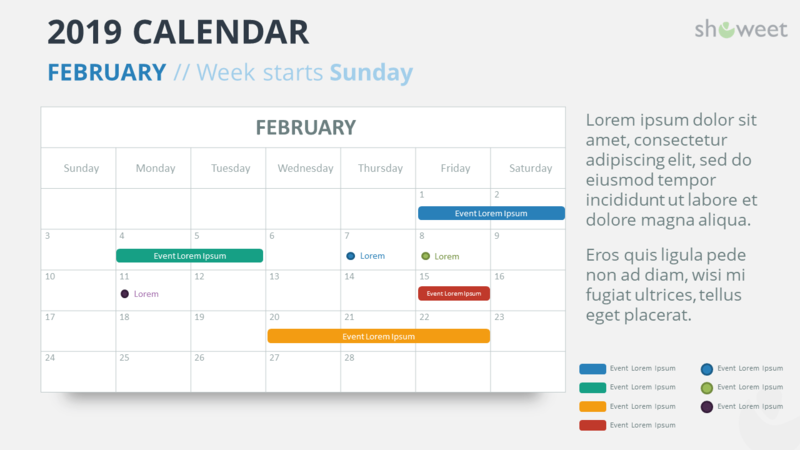 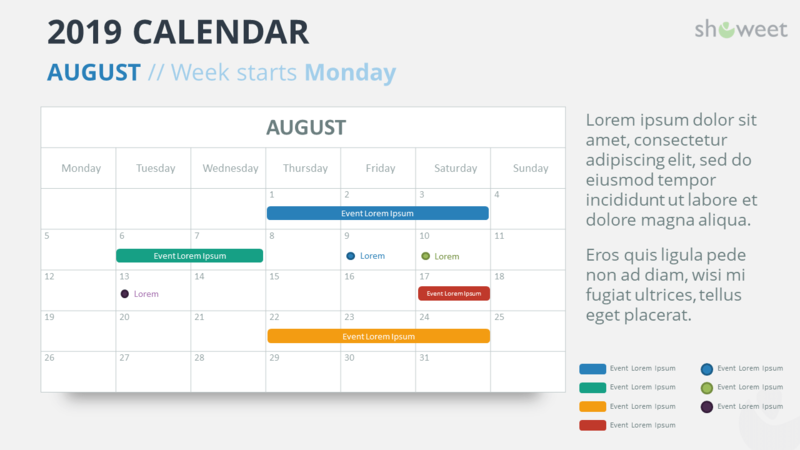 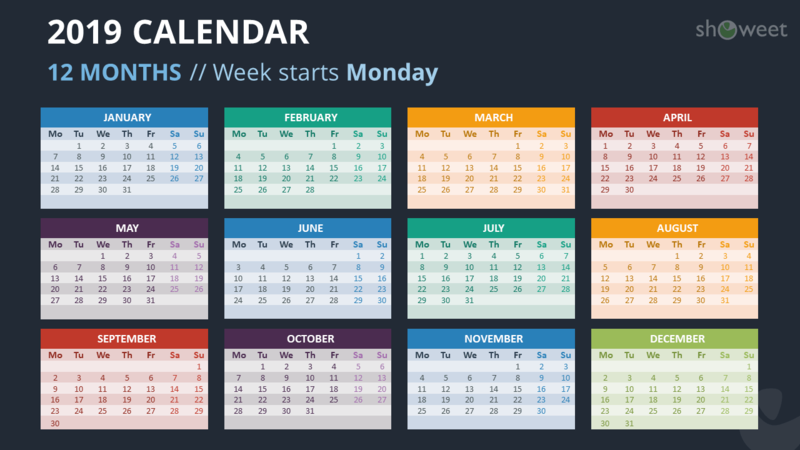 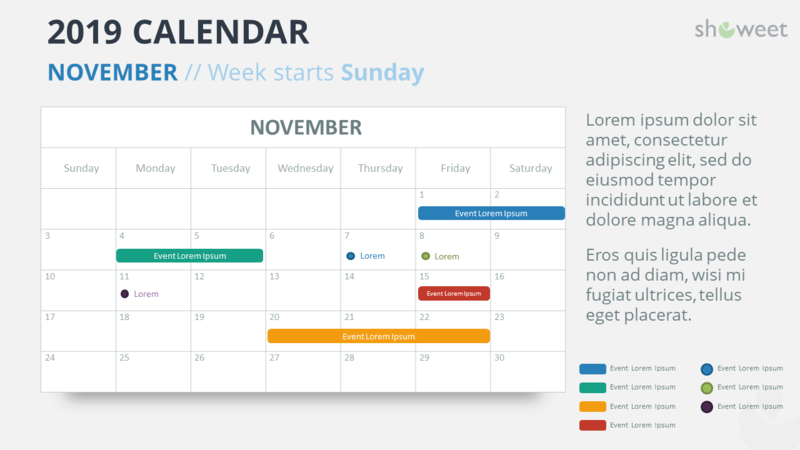 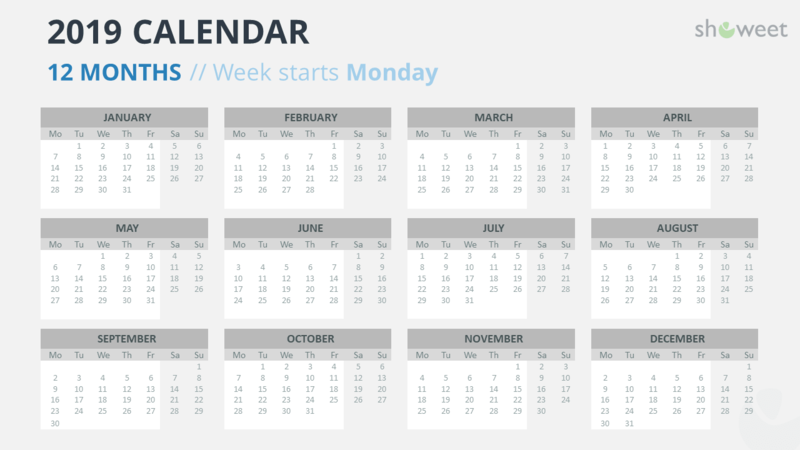 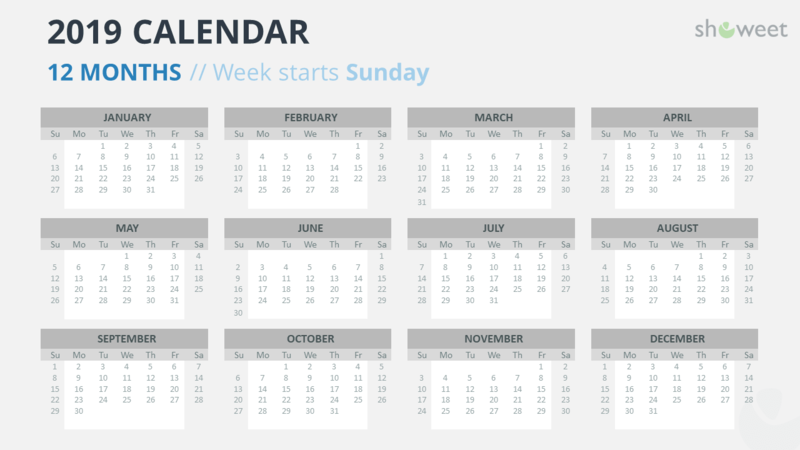 These 2019 calendar templates for PowerPoint are perfect to be inserted in your presentation documents (for e.g., project timing, work schedule…) or just to be printed. Every single slide of this template is ready to use. 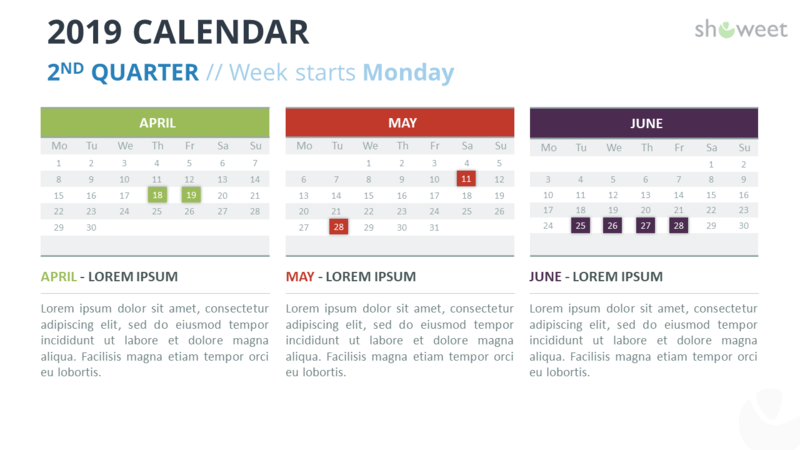 The PPTX document contains a selection of 54 custom-made slides. 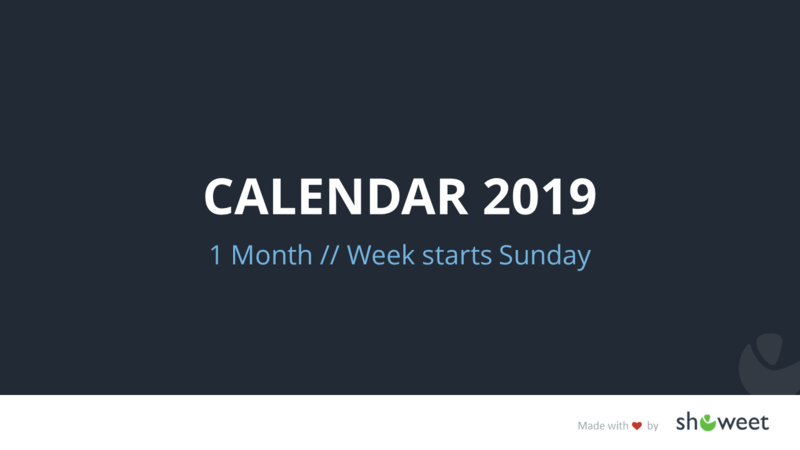 PowerPoint tables have been used to make the 2019 calendars easy to edit, and even easier to customize – if needed. 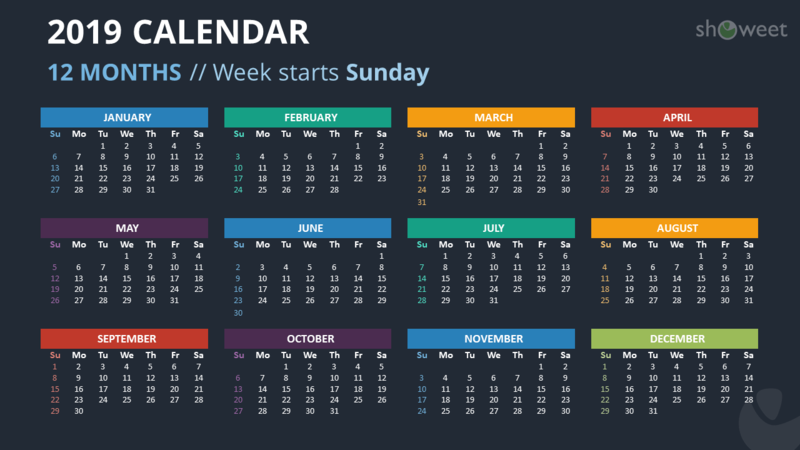 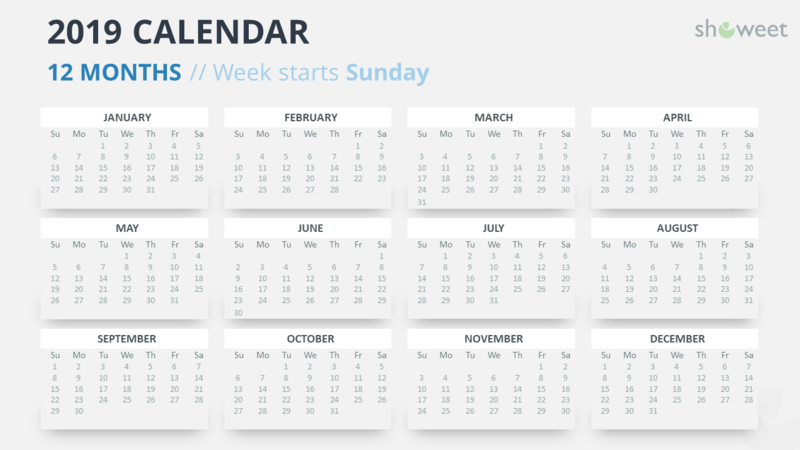 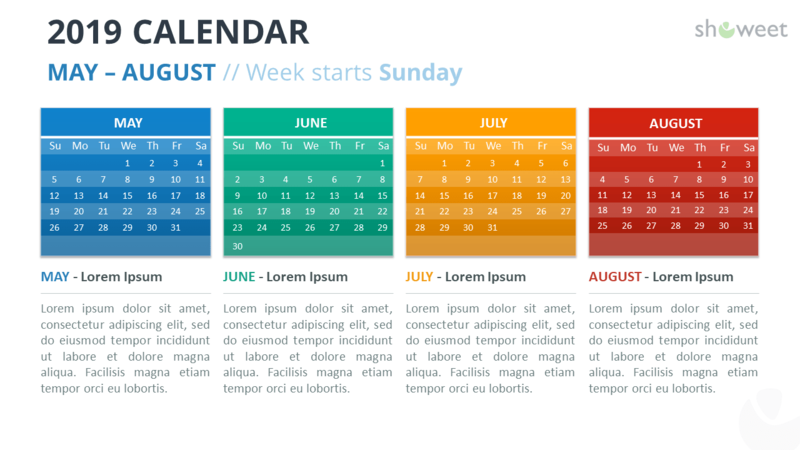 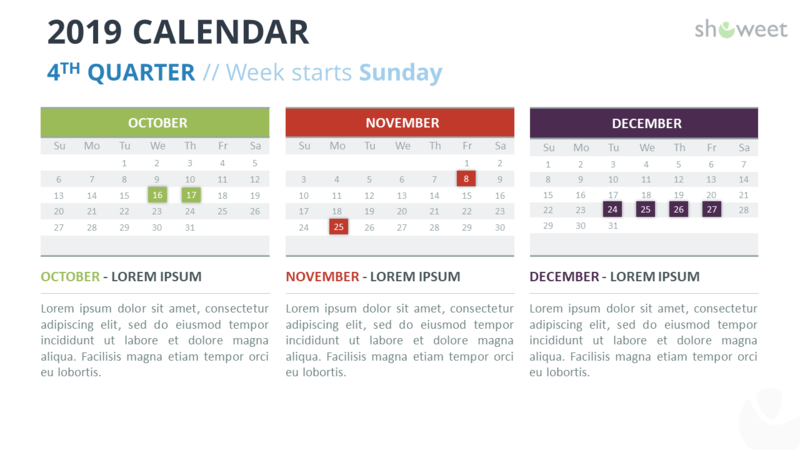 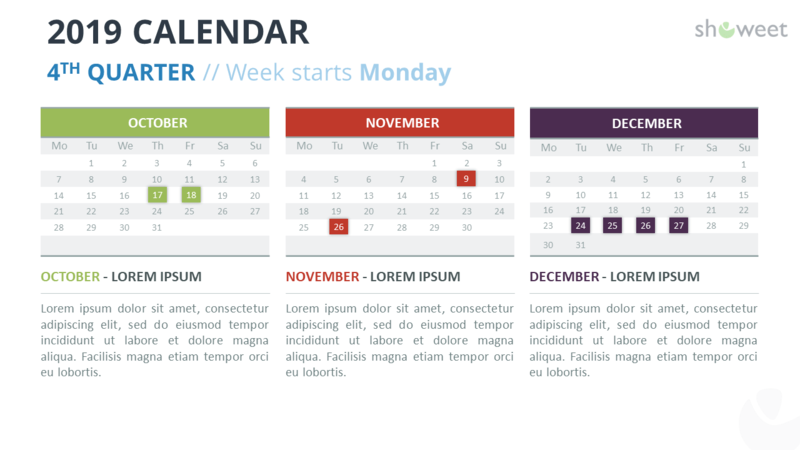 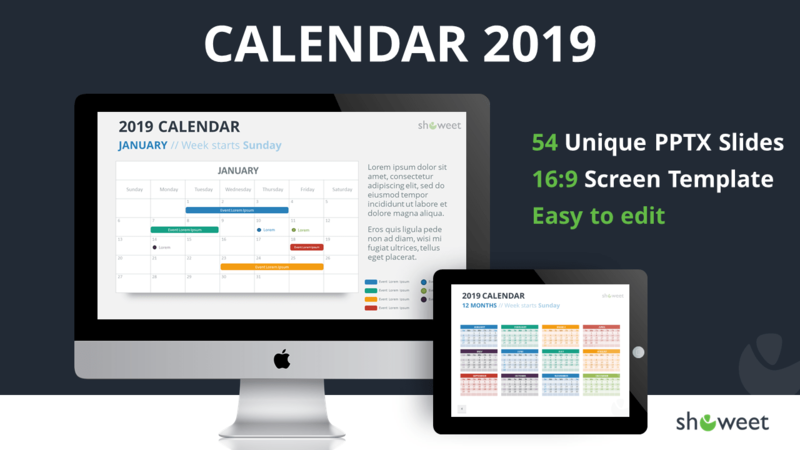 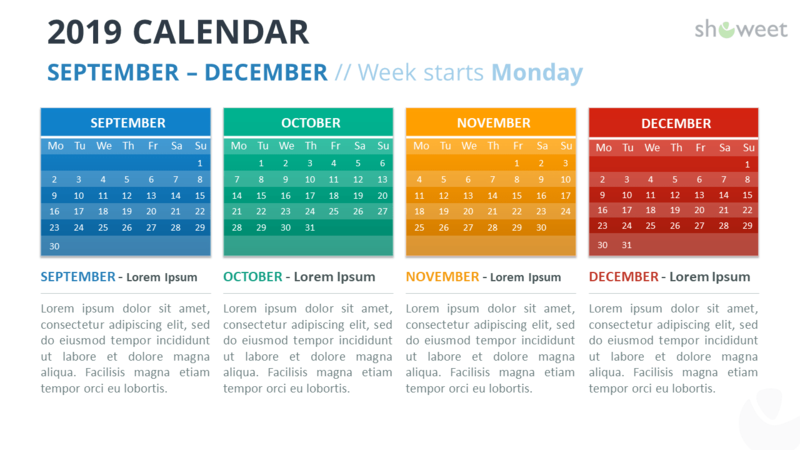 Download the ‘2019 Calendar PowerPoint Templates’ for free! Hi Franck, thanks for your feedback!